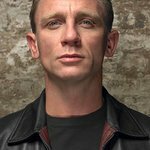 A Skyfall cast and crew cap, signed by Daniel Craig, is among the celebrity lots up for auction in aid of St Mungo’s Woolly Hat Day on Friday 26 October. Homelessness charity St Mungo’s is offering people the chance to own the hats of some of the world’s most famous faces in film, music and sport via an online auction from Friday 19 to Sunday 28 October. The star lot is a cast and crew baseball cap donated and signed by Daniel Craig from the new Bond film Skyfall, which is released on the same day as St Mungo’s Woolly Hat Day, Friday 26 October. Thirty other celebrities have generously offered their hats for sale including Ed Sheeran and Devlin, Hugh Jackman, Kevin Spacey, Renee Zellweger, Sienna Miller, Chris Moyles and Eric Clapton. This year, the auction also includes hats from some of sport’s most successful personalities including Wimbledon Champion Roger Federer, Olympic and Paralympic gold medallists Ellie Simonds, Nick Skelton and Alistair Brownlee, and Formula One superstar Jenson Button. The online auction marks one part of St Mungo’s Woolly Hat Day when the charity asks the public to put their hats on for homeless people. Now in its third year, Woolly Hat Day sees hundreds of people donning beanies, baseball caps and berets to help St Mungo’s raise money for its work providing housing, health and work opportunities to homeless men and women. St Mungo’s runs over 100 projects across London and the South, supporting thousands of people to make positive life changes every year. Last year the number of homeless people in the UK increased by 14% and latest figures show an increase of 43% people sleeping rough on the streets of London. Other stars who have donated their woolly hats include Alexei Sayle, Annie Lennox, Bill Nighy, Michael Buble, Corinne Bailey Rae, Billy Bragg, Mick Hucknall, Ricky Gervais, Ben Kingsley, Michael Parkinson, Susan Boyle and The Saturdays. To bid for a hat visit www.woollyhatday.org.